Have you ever been to a restaurant with a poor ventilation system in the kitchen? Just imagine how it would smell and it’s definitely a turn off. 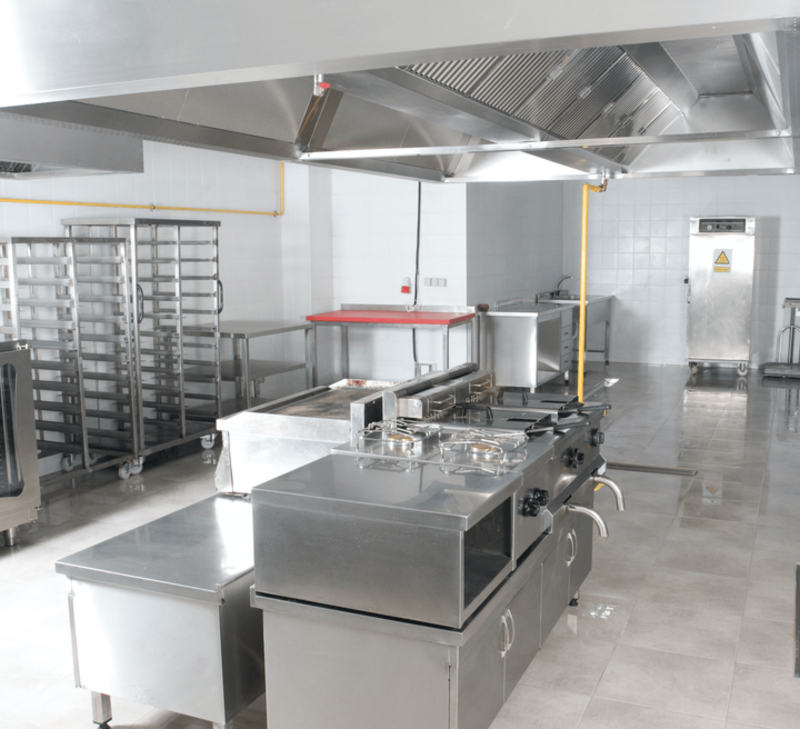 Maintaining a proper kitchen ventilation system is imperative in restaurants. Given the variety of menu cooked in a restaurant’s kitchen all day, kitchen ventilation is not just important for the customers but also for the restaurant’s employees. The kitchen is one of the busiest areas in the restaurant. The smoke and steam from the food preparation and cooking can result to contaminants in the air. The kitchen ventilation works in removing these air contaminants to maintain the air quality. Due to the processes involved in cooking, grilling and steaming of food in the kitchen, the temperature may also easily get heated up. With proper kitchen ventilation, this is easily avoided as it also aids in the temperature control. Well-designed kitchen ventilation helps reduce the amount of cold air carried out via the kitchen’s exhaust system reducing energy waste. While odors may not be completely eradicated in the kitchen area, the ventilation system in the kitchen helps restrict the odors from spreading out into the customer’s dining area. The main advantage of proper kitchen ventilation is to maintain better airflow. With better flow of the air around the kitchen, air irritants and contaminants are eliminated which means healthier environment for the kitchen workers. This also helps avoid the growth of molds and mildews which are health hazards. In addition, proper airflow system is also important in reducing the risks for accidental fires in the kitchen. For years, CaptiveAire has been the leading provider of efficient and reliable commercial ventilation systems. They have worked hard in consistently providing top of the line kitchen ventilation equipment and has never failed to constantly innovate to adapt to the ever-changing industry needs. CaptaiveAire exhaust fans, grease and air filter system and captiveaire hoods are just few of the company’s most trusted products gaining trusts from a variety of clients from different commercial industries. If you are looking for kitchen ventilation equipment that offer reliable solutions, CaptiveAire is your smartest choice. Restaurant owners are often faced with the high demands when it comes to commercial kitchen ventilation system. When you are unsure where to get started, Chef’s Deal Restaurant Equipment offer quality solutions. They have the latest and innovative commercial ventilation solution including captiveaire hoods and other essential restaurant equipment and supplies available at the most reasonable prices. The search for the right products for your kitchen ventilation and other restaurant supplies need not be too hard with Chef’s Deal – your friendly and trusted restaurant equipment provider.